Retired Los Angeles County sheriff’s Lt. Alex Villanueva dramatically expanded his lead Friday in his bid to unseat incumbent Sheriff Jim McDonnell. Vote totals released Friday showed that Villanueva’s lead from the Nov. 6 election has expanded to 57,810 votes, up from about 22,000 on Tuesday. The latest tally gives Villanueva 51.3 percent of the vote, compared to 48.7 percent for McDonnell. An incumbent Los Angeles County sheriff hasn’t lost a re-election bid in more than a century. It was not immediately clear how many ballots are still left to be tallied. As of Tuesday, there were about 688,000 outstanding ballots. 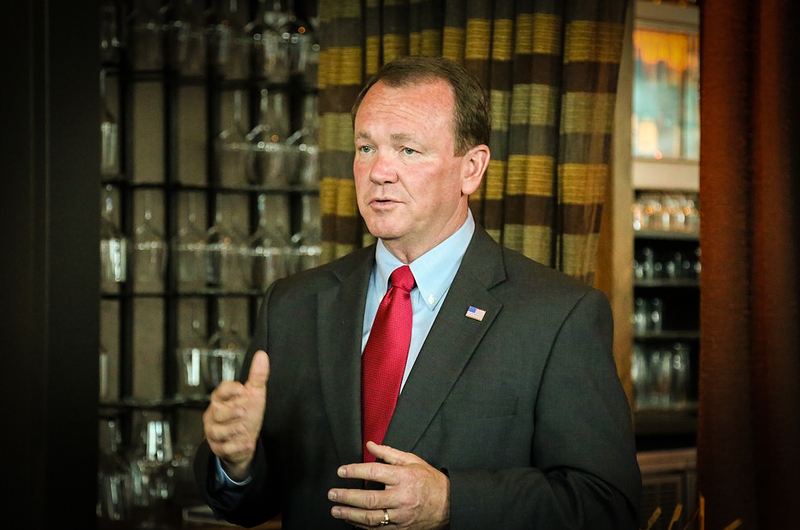 McDonnell was chief of the Long Beach Police Department until he was elected sheriff in 2014.